We all know that healthy eating and exercise are important for the way we feel and look. But, did you know that our hormones also play an absolutely fundamental role in about every aspect of our life. Hormones affect our body, metabolism, how much fat we have, and our weight. They control our appetite, they affect our energy level, and they influence our mood and emotions. If your hormones are in balance, your metabolism will improve and your energy level will improve. Hormones regulate metabolism. That's why there are people with fast metabolisms who burn off calories quickly. And there are people who have a slow metabolism which applies calories directly to the stomach or hips. A slow metabolism makes you feel tired all the time. When you have fast metabolism, you burn calories faster and your energy level raises. What are hormones? Hormones are chemicals released by cells that affect cells in other parts of the body. All our organs make hormones. Hormones go through the blood and other fluids in our body. Food affects our hormones. One hormone responsible for blood sugar - insulin stands out above all the other hormones which are affected with the food we eat. Insulin is critical for hormonal balance. Insulin hormone is made by the pancreas. Medical problems such as diabetes, hypertension, and strokes could be caused by insulin. Insulin has a big effect on weight regulation. Insulin is one of the most important hormones in our body. Carbohydrates, proteins and fats affect insulin. Carbohydrates such as sugar, wheat, rice, fruits, vegetables and grains are primary source of energy in our diet and are necessary for hormonal balance. The best carbohydrates that you can eat are vegetables and fruits. Vegetables and fruits are extremely low in calories and high in fiber. If you eat these healthy foods, you won't be hungry for bad or junk foods. To achieve hormonal balance and healthy level of insulin, eat fruits, vegetables and healthy carbohydrates. Eat Are Fruits And Vegetables. Eating 5-6 small meals throughout the day is a great way to balance your blood sugar and insulin levels. If you skip meals and then you have huge meals once or twice a day your body will do everything to store the food. Metabolism slows down, you get sleepy and insulin allows the food to be stored as fat instead of burning the food as energy. If you want to lower your insulin levels eat food reach in fiber. Fiber makes you feel full. The best way to get fiber from food is to eat lots of fresh vegetables and fruits. High fiber foods can help you lose weight. Proteins are essential for a balanced diet and hormones. Make sure you eat enough protein throughout the day. Eat protein such as egg whites, lean meat, chicken, turkey, and fish. Eat foods low in fat and eat healthy fats. Good sources of healthy fat include olive oil, avocados and nuts. If we do not have right and healthy eating habits, we can have problems with insulin hormone.
. Physically inactive people are more at risk of developing hormonal problems. and anxiety cause insulin resistance. By treating these mental conditions, you will lessen insulin resistance. To prevent problems with insulin and to achieve hormonal balance you need to change poor dietary choices and sedentary lifestyle into healthy diet and fitness lifestyle. Physical activity and exercise is one of the best and natural ways to improve your hormonal balance. Weight training reduces insulin resistance, because it builds muscle and burns fat.
. Low testosterone can result in the growth of male breast tissue known as gynecomastia. Testosterone deficiency can result in loss of body hair. Alcohol, drugs and smoke have negative effect on normal production and functions of testosterone. To boost testosterone levels, we come again to the importance of physical activity. Exercise makes muscles physically stronger. To improve your muscle mass you should do weight training. The more muscle you have, the better your metabolism. For a healthy level of testosterone get the right balance of carbohydrates, protein and fat.
. Growth hormone has effect on increasing muscle mass and decreasing fat. Growth hormone is made in our body, and if you eat healthy and exercise your growth hormone level will naturally improve. Growth hormone helps you gain muscle and lose fat, improve mood and gives you more energy. Growth hormone is produced while you sleep. Get healthy sleep and your growth hormone level will rise. Growth hormone slowly declines after 30's. Stress is one of the many other factors which can disrupt hormonal balance. Growth Hormone Is Produced While You Sleep.
. Protein builds muscle. The best physical activity for your growth hormone would be weight training. Estrogen hormone for women - Estrogen hormone helps development of breast, thighs, hips and buttocks. Estrogen is also responsible for bone health. Another important female hormone is progesterone which effects fluid retention and weight gain. When the progesterone level is high - usually occurs before menstrual cycle - many women suffer from fluid retention and bloating. The hormone progesterone is responsible for preparing a woman's body for pregnancy. Avoid salt because salt makes you retain water. Exercise - physical activity is important for reducing fluid retention. Progesterone can increase your hunger and appetite; it can make you feel sleepy, tired, and depressed. And this all happens before the menstrual cycle. Estrogen deficiency in women can cause bone problems. To prevent deficiency of estrogen and bone loss take vitamin D and calcium supplements. Weight training exercises are great for women especially as they age because they prevent bone loss and help you build lean body and lose fat. Fruits and vegetables can help regulate hormones and your weight. Less stress and more rest = better health. and mood. If your thyroid hormone is under active, your energy level will be lowered, metabolism will slow down and you will feel tired. Endocrine Glands In The Body. as fat. Reduced metabolism leads to low energy levels. 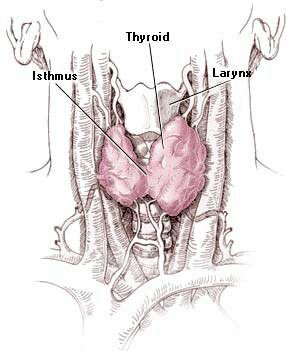 People with low thyroid levels are tired all the time. 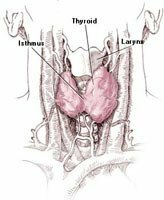 Sometimes thyroid hormone problems can cause your joints and muscles to feel stiff and sore. With low thyroid hormone, skin becomes dry and itchy, hair grows slower of falls out. Low thyroid hormone causes fluid retention resulting in puffiness in the face or around the eyes, swelling of the hands, feet and legs. The lower the thyroid levels, the higher the cholesterol. Abnormal thyroid levels, either high or low, can cause high blood pressure. To improve or maintain a healthy level of the thyroid hormone do some exercise. Physical activity will help you get more energetic and less tired. If you want healthy thyroid hormone, eat healthy nutritious food.
. This leads to health problems, slower metabolism and weight gain. Cortisol influences the amount of muscle, strength and fat. The stress that we experience most of the time is psychological stress. Any type of stress can raise cortisol levels. High cortisol levels can cause muscle breakdown, accumulation of fat and metabolism slow down. Cortisol can influence your appetite and increase your hunger for food. This hormone also influences our mood and can be linked to depression and anxiety. Some stress is normal and we can deal with it. But the stress that never goes away is the one which causes cortisol level to climb. , cut it down. Reduce stress as much as you can. Many people use food as a way of coping with stress. Food is comforting, but it may not make the stress go away. Here is what happens a most of the time - you get stressed, you eat and then you gain weight. Use the food because of its nutritional value, not for its ability to make you feel good. Exercise - Physical activity helps your body to better handle stress. Exercises make your body stronger and healthier. That way your body will be able to withstand the physical drain of stress. Incorporate physical activity and exercise into your daily routine by making it priority. Control Your Appetite - Do not overeat while you are dealing with stress. Do not use food to comfort you and relieve stress. Comfort foods are usually high in fat, carbohydrates and calories and can make you gain weight. Meditate - Meditation relaxes your mind. Massage - Massage decreases tension in your muscle and body. Sleep And Rest - Giving your body optimal rest is the best way to get new fresh flow of energy. Establish new healthy eating habits and make exercise your regular habit. Move toward a healthier lifestyle. Changing your lifestyle for the better requires commitment and persistence. The key to success is that the lifestyle change becomes a habit. The key to healthy lifestyle is hormonal balance, healthy mind, body and spirit.